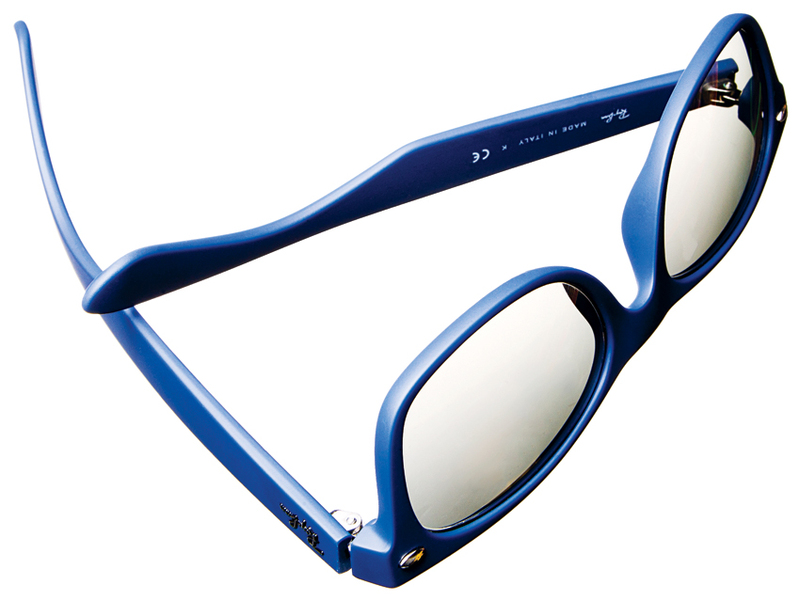 Ray-Ban Wayfarers have graced the faces of everyone from Audrey Hepburn and James Dean to Natalie Portman and Beyoncé. Get your bridal party ready for their close-up with the iconic frames, done up in cool navy. $139, Lunette Optic. Kate Spade’s patent-leather “Karolina” pumps are the gift that keeps on giving: Not only do they feature a cute gold bow, but their manageable three-and-a-half-inch heel height will let you boogie all the way through the last dance. $328, Kate Spade. 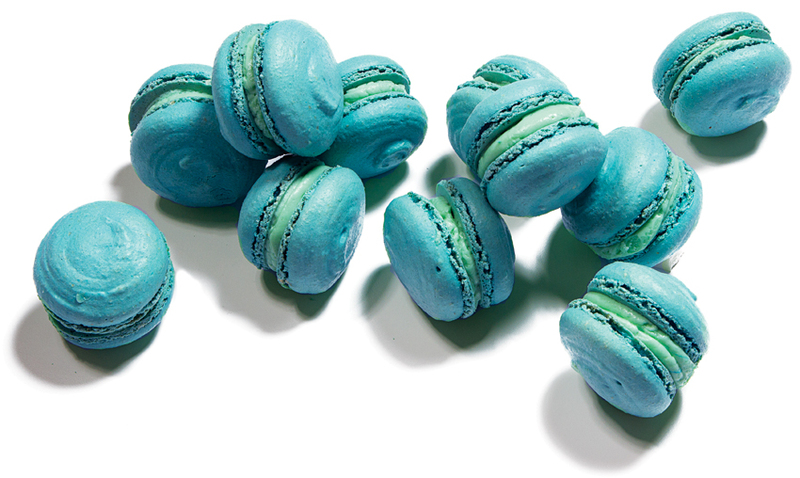 The petite French confections known as macarons have taken America by storm. Sportello’s version, available by custom order and filled with buttercream or jam, are gluten-free, making them a sweet cake alternative for guests with allergies. $1.50 each, Sportello. 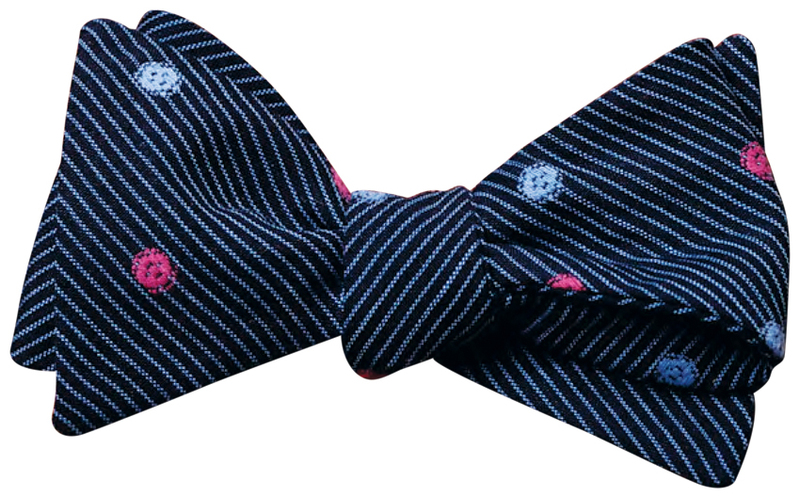 Dandies and dapper gents alike will delight in this striped-and-dotted cotton bow tie from Ivy Prepster. After all, plain neckwear is for squares. $95, Sault New England. Keep the blue theme going on your honeymoon with Huit’s color-blocked “Smarty” bikini. The pinstripe detailing and button accents give it a retro feel. Hey, sailor! top, $74, and boy shorts, $56, Forty Winks. 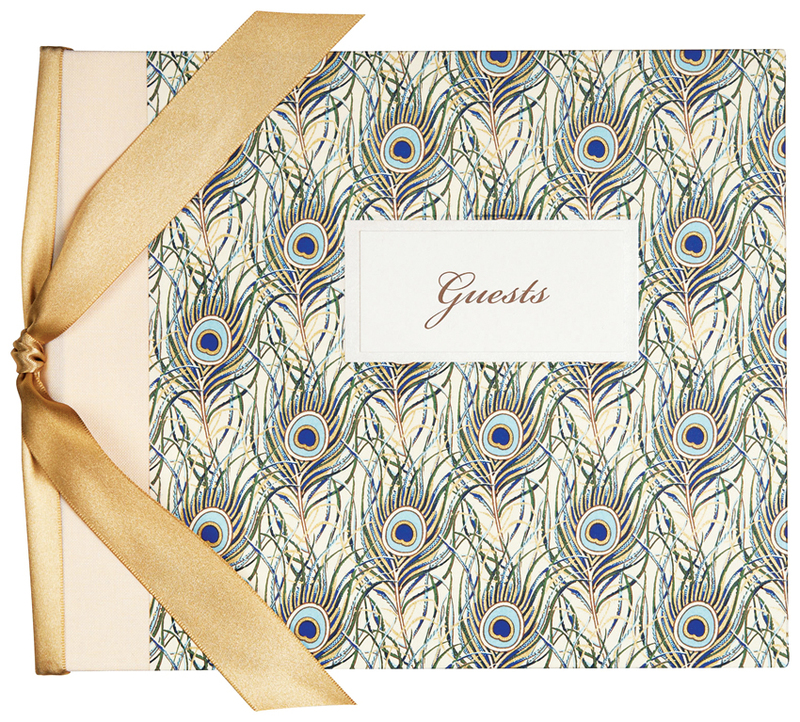 Even the cheesiest messages and well wishes from friends and family will shine in this gold-flecked guest book from Paper Source. The jewel tones of the peacock feathers just might inspire your entire wedding palette. $50, Paper Source. 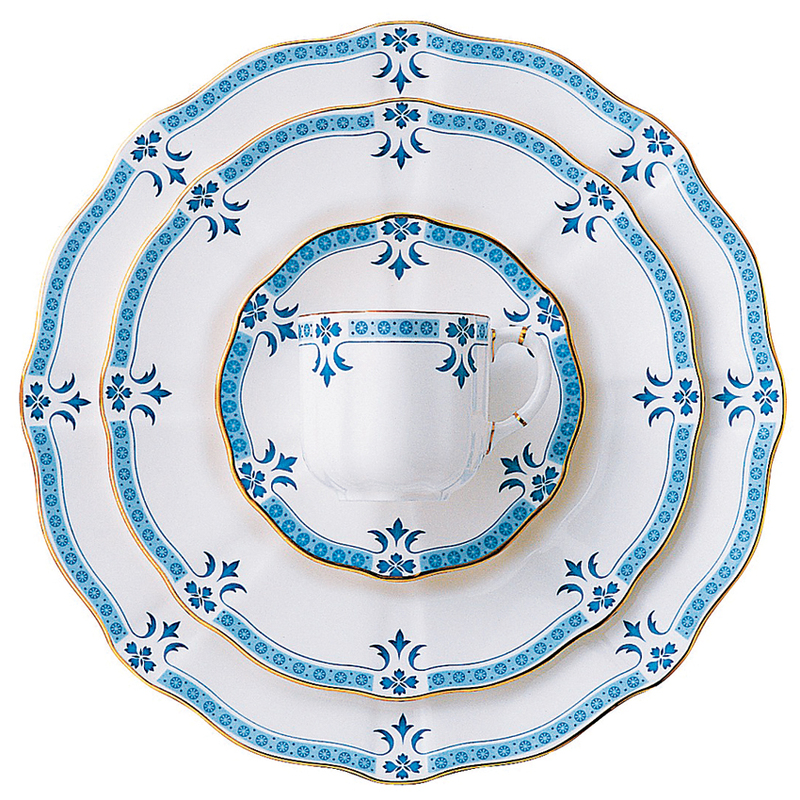 Serve your in-laws in aristocratic style with Royal Crown Derby’s elegant “Grenville” bone-china place settings. $365 for five pieces, Bloomingdale’s. 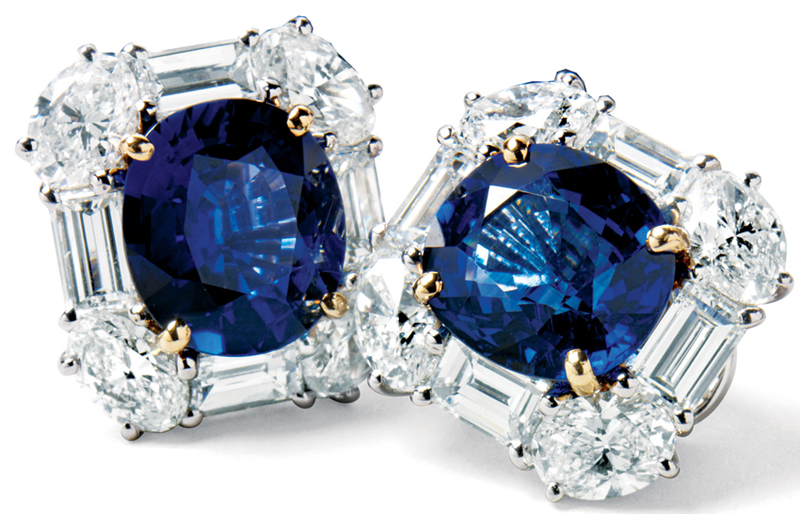 Brides, be warned: These dazzling platinum-and-gold earrings with cushion-cut sapphires and diamonds just might steal the spotlight when you walk down the aisle. $154,000, Dorfman Jewelers. 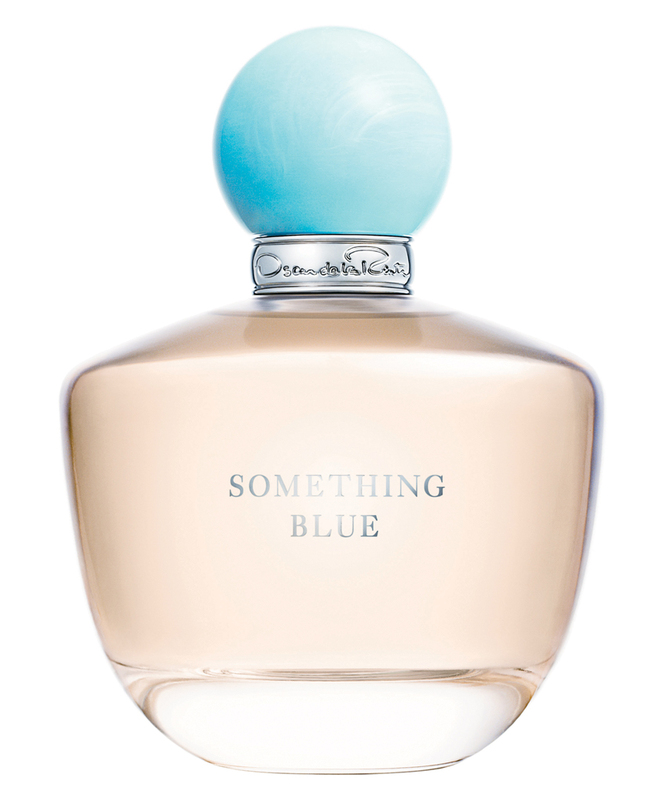 Oscar de la Renta’s “Something Blue” fragrance features hints of mandarin, linden blossom, lily of the valley, lychee, bourbon vanilla, and white musk, but it’s the perfume’s dreamy signature note—stephanotis—that makes it ideal for weddings. 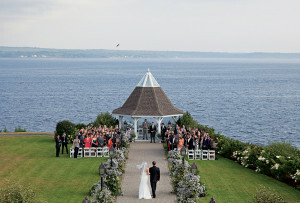 Nicknamed the “bridal veil,” the white flower often appears in bouquets. $115 for 3.4 oz., Bloomingdale’s. Zoya’s eco-friendly polishes are free of toluene, formaldehyde, and other harmful chemicals. Brush on “Blu,” a fun, light hue, for pretty, healthy tips. $8.75, MiniLuxe. 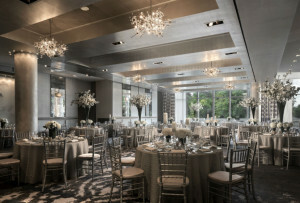 Great bridal style is all in the details. 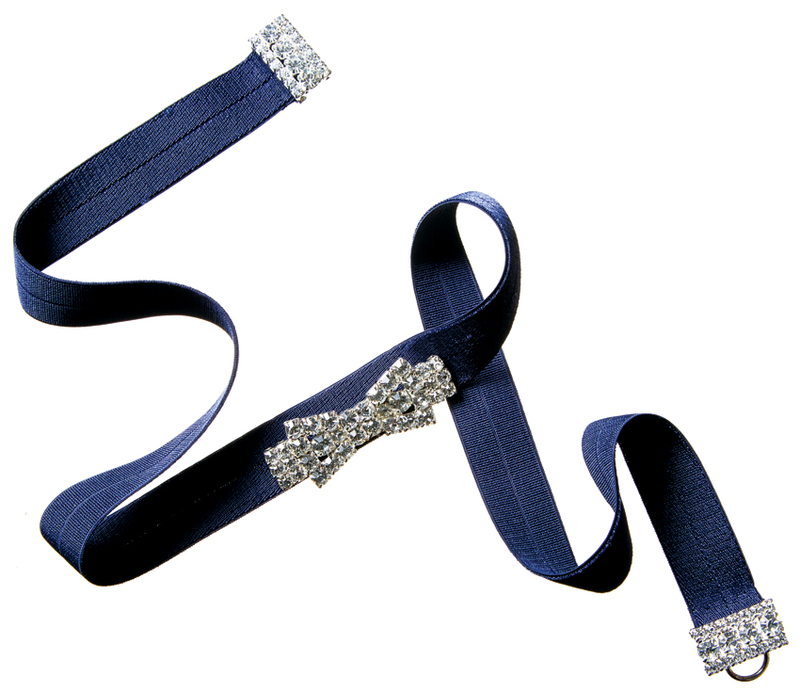 Elle & Jae’s crystal-accented satin-grosgrain sash highlights a slim waist while upping your gown’s glam factor. $60, Bella Bridesmaid. 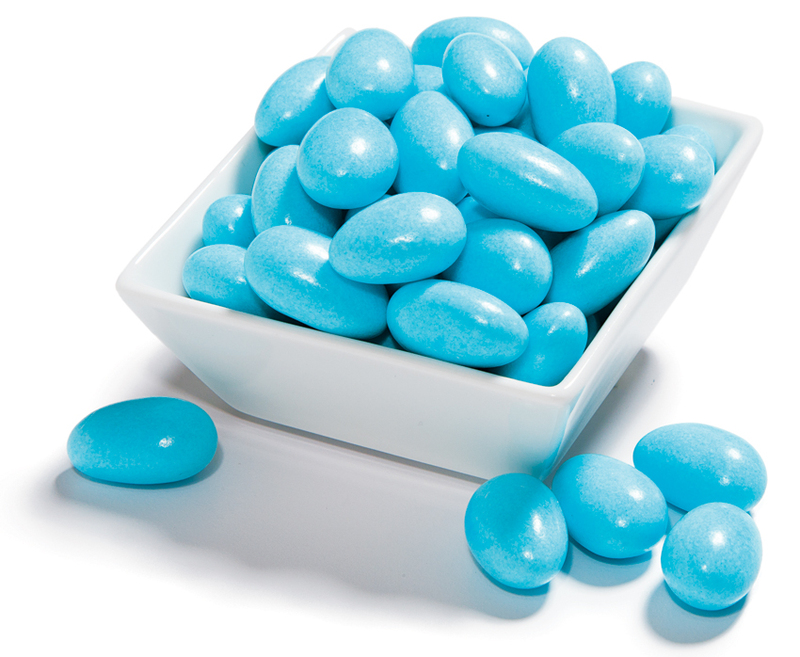 Traditionally given as favors at Greek and Italian weddings, jordan almonds—available by special order at Robin’s Candy Shop—are full of meaning. 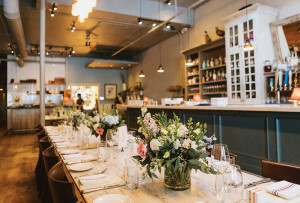 The slightly bitter almond symbolizes the ups and downs of life, while the sugar coating represents hope for the newlyweds’ sweet life together. $17 a pound, Robin’s Candy Shop. 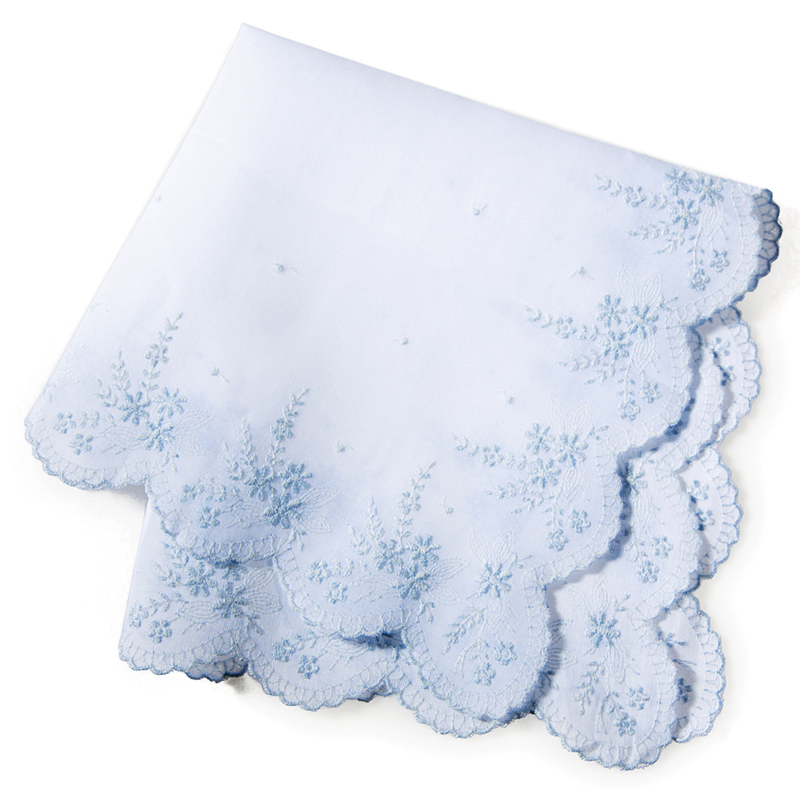 Dab your eyes (dolled up with waterproof mascara, of course) with this delicate cotton handkerchief, hand-embroidered in Switzerland with a soft floral pattern. $56, Linens on the Hill. 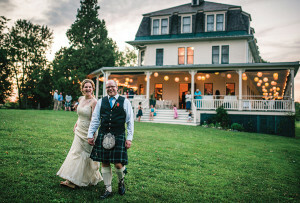 Who doesn’t want to feel like a rock star on her wedding day? 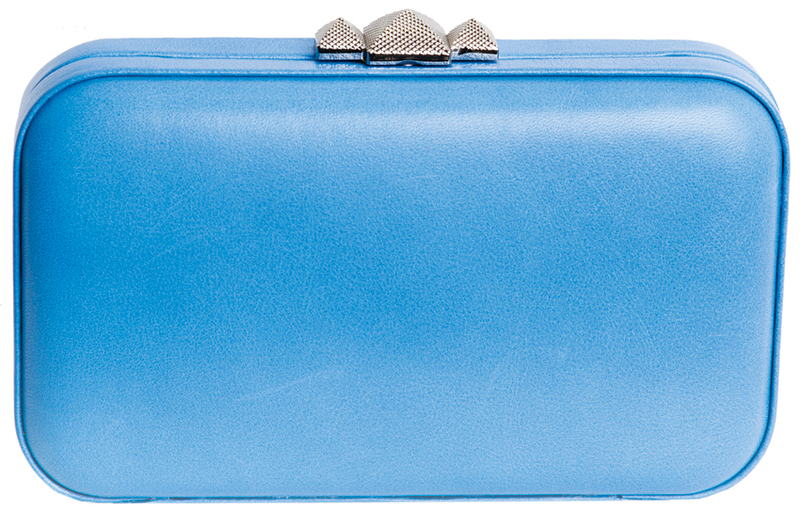 The stud-like snap closure adds just the right amount of edge to Rebecca Minkoff’s “vincent” frame clutch. $195, rebeccaminkoff.com.